How do I add my own logo to a WYSIWYG report? Click the report that you want to brand or create a new report. Click the Add Logo button in the top-left corner of the report. Either select an already uploaded logo or choose a logo to upload. Click the Submit button and the logo will appear on your report. Logos uploaded to your Raven account will remain available for use in other reports. Be sure that your logo has a descriptive filename, so that you'll know which one to pick in the future. What if I don't select a logo? If you don't choose a logo, this space will be blank. 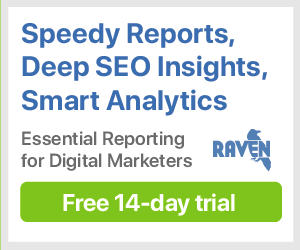 No more worrying about whether or not the Raven logo will appear on your reports — if a logo is not appended to a report, that report simply will not have a logo. There is no placeholder logo to add here. What dimensions should my logo be? Generally speaking, horizontally-oriented PNGs look best in reports. If you opt to add a Cover Page, we'll use this image as the primary image on the front of your report, so be sure to upload a high-resolution image. We recommend at least 800px wide. Can I delete a logo from Raven? It is not currently possible to delete a previously uploaded logo. How is this different from Brand Templates in Report Wizard? When creating reports in Report Wizard, it was necessary to create a separate Brand Template to customize those reports with your own logo and other brand options. This process has been streamlined in Raven's new reports, eliminating the need for Brand Templates altogether. Keep in mind that you must upload a new logo — you can't use logos already uploaded into Brand Templates. Additionally, the new reports do not use the Top Bar styling and do not have footers so these settings are not available in Raven's new reports. You can always add a Text Summary block to the bottom of your report in place of a footer; if you would like to add additional information to the end of your report. Can I put my logo on PDF quick reports? Quick Reports, the reports generated from the Tool Options menu in individual tools in Raven, cannot be branded at this time. These reports will be created with a blank space where a logo would otherwise appear.